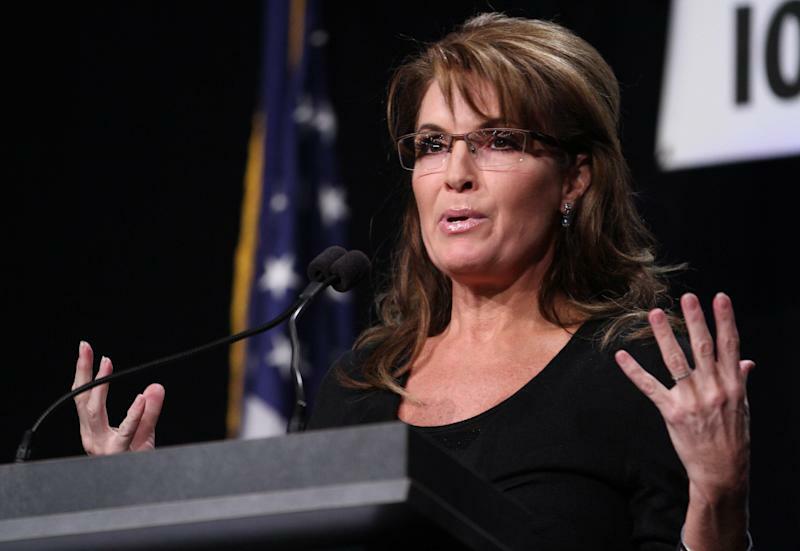 Does Sarah Palin still matter? She hasn't held public office in four years. She hasn't run for public office in five. Yet there Sarah Palin was earlier this week, on NBC's "Today" show, sparring with Matt Lauer about Obamacare ("This broken website I think is symbolic of a broken administration"), the tea party and New Jersey Gov. Chris Christie (he's "no Ronald Reagan"). There she was on CNN, telling Jake Tapper she was "taken aback" by recent "liberal" statements made by Pope Francis, as well as by Christie's "extreme" weight. There she was on Fox News (where Palin is a paid contributor) telling Sean Hannity that congressional Republicans unwilling to stand with Sens. Ted Cruz and Mike Lee during the partial government shutdown "threw the good guys under the bus." And there she was on Fox again, this time on the "Fox & Friends" couch, holding hands with the show's hosts, Steve Doocy, Elisabeth Hasselbeck and Brian Kilmeade, while promoting "Good Tidings and Great Joy," her holiday book about the war on Christmas (tagline: "It's OK to wish me Merry Christmas! "), before embarking on a 15-city book tour. Palin is in the public eye again with her book, armed with tea party-friendly, Twitter-sized sound bites about, well, just about anything. On the national debt: "There is another definition of slavery and that is being beholden to some kind of master that is not of your choosing. And the national debt will be like slavery when the note comes due." On President Barack Obama: "I'll never forget Bill Clinton saying about Barack Obama and his story, his agenda, that it was the biggest fairy tale he'd ever seen. And he was right, because Barack Obama was not qualified, he was not prepared, and the manifestation of that today is the problem that we see left and right in our economy." On congressional Republicans: "They threw the good guys under the bus. Ted Cruz, Mike Lee willing to stand strong on planks of the platform they ran on in addition to so many other politicians running on the idea of repealing and replacing ObamaCare. They finally had an opportunity to stand up and defund it and get America to debate the issue. And then they were thrown under the bus." On Christie hugging Obama during Superstorm Sandy: "Perhaps it hurt Mitt Romney. I think it was unnecessary to literally be embracing Barack Obama at the time of such national import when it came to that campaign season. But, again, more important has been anyone on the GOP ticket who could support these policies of Barack Obama when it comes to granting amnesty to illegal aliens, for instance, or thwarting our Second Amendment rights or growing national debt." On GOP leadership: "I want the Republican Party, kind of that leadership of the machine of the party, to really stiffen its spine and not be squishy." On the 'war on Christmas': "You see the ACLU letters that get sent around to all the school districts now, warning them, you know, you'd better not acknowledge that Jesus is the reason for the season and don't — heaven forbid — you sing a song about Bethlehem or 'Silent Night,' because somebody may take offense." On the pope: "He's had some statements that, to me, sound kind of liberal. It has taken me aback." But does anything the former Alaskan governor and ex-vice presidential candidate say really matter, particularly to the GOP? And is she relevant? "She's so compelling," CNN contributor and Democratic strategist Paul Begala said on Wednesday. "She is. You can't turn away. She tends to say these things that either people love or that they hate." And, don't look now, but Palin "plunged herself into the heart of a debate roiling the Republican Party between the moderate establishment on one hand and tea party fist-raisers on the other," David Freedlander wrote on the Daily Beast. "As the Palin bus rolls into town, political observers on the ground are wondering if the former governor of Alaska will offer a few kind words, or even a photo op, for the candidate of their choice." But other pundits believe Palin's time has come and gone. 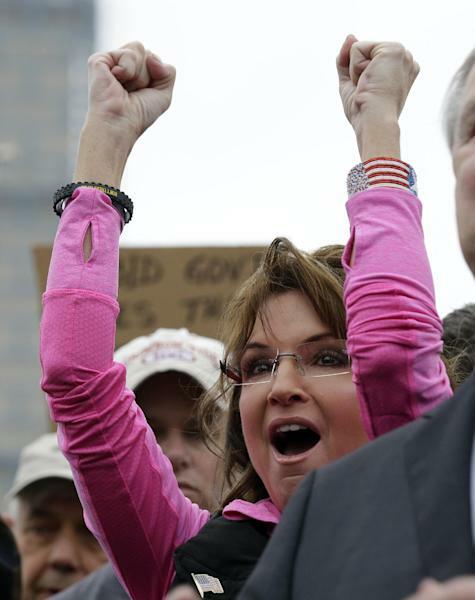 Palin's supporters, though, say she is just as relevant today, perhaps more, than she was in 2008. That's part of the idea of the book tour, which began Tuesday in Bethlehem, Pa., (where at least 600 people turned out for Palin's signing), with planned stops in Ohio, Michigan, Wisconsin, Kentucky, Georgia, Florida, Texas, Oklahoma, Arkansas, Kansas, Nebraska and Minnesota — all before Thanksgiving. The other part is selling books. Palin's 2009 memoir, "Going Rogue," sold more than 2 million copies. Michelle Obama Thanks Beyoncé For 'Homecoming': "The Queen Has Done it Again"